Smoking is the single greatest preventable cause of death in the world today. There are more than one billion smokers worldwide – that’s one quarter of all adults – and it’s killing up to half the people who smoke. In Northern Ireland, around 340,000 people aged 16 and over smoke. Smoking contributes to not only many cancers, heart disease, bronchitis and asthma, but other illnesses, including stroke, which causes around 2,400 deaths per year here, all of them avoidable. Cigarette smoking is also recognised as a major cause of health inequalities in lower socioeconomic groups and is estimated to account for around 50% of the health inequalities gap. One million working days are lost each year in Northern Ireland due to smoking. However, the good news is the risk of serious disease starts dropping as soon as you stop smoking. Breathing becomes easier and improves as lung function increases, and within one year of quitting, a person’s risk of a heart attack is halved. The cost to the smoker is clear, with a 20-a-day habit amounting to around £2,000 a year. Smokers in Northern Ireland spend on average 15% of their income on their habit, and for smokers who are in the lower socioeconomic groups, this equates to a much higher proportion. Smoking in pregnancy is associated with a range of negative outcomes. Pregnant women who smoke are more likely to have a miscarriage, ectopic pregnancy or stillbirth, and are more likely to have a baby with low birth weight. In addition, children born to smokers are more likely to suffer from conditions such as asthma and severe ear, nose and throat problems, including glue ear. Psychological problems such as attention deficit disorder, hyperactivity, and disruptive and negative behaviour are also more common among the children of smokers. More than one quarter of cases of sudden infant death, or cot death, have been attributed to exposure to cigarette smoke. Much has been achieved in tackling the toll of death and disease caused by smoking. 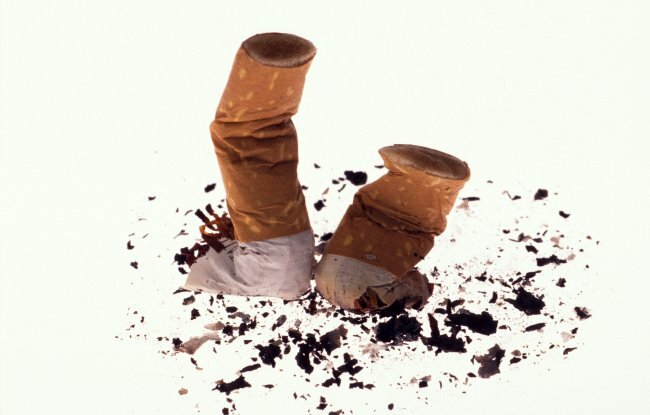 Firstly, the Smoking (Northern Ireland) Order 2006 came into operation on 30 April 2007, introducing measures to protect the public and employees from exposure to second-hand smoke. This was a major step forward in helping create a climate where non-smoking is becoming the norm in society. Eight out of 10 smokers report that they started smoking before the age of 16. To help reduce youth smoking, the DHSSPS introduced the Children and Young Persons (Sale of Tobacco) Regulations from 1 September 2008, to increase the minimum age of sale for tobacco products from 16 to 18. We need to build on this and ensure that non-smokers, especially children, are not exposed to cigarette smoke in cars, where levels of second-hand smoke can be extremely high because of the restricted area in which it circulates. protecting non-smokers from the dangers of second-hand smoke. Through the ‘No Smoking Day’ campaign, we also ensure that the reasons for not smoking are made clear and encourage smokers to use it as an opportune time to quit. Across Northern Ireland, there are over 600 support services for people who wish to stop smoking, based in GP surgeries, community pharmacies, hospitals, community centres and workplaces. The services were used by nearly 24,000 people in 2009, with just over 12,000 successfully stopping smoking four weeks after their quit date. The PHA works in partnership with local councils, who are authorised to enforce smoking legislation. They have ensured compliance through spot checks and investigation of complaints, and have employed test purchasing to ensure tobacco products are not sold to children. Test purchasing involves children asking for cigarettes or tobacco in shops and supermarkets, and when these products are sold, the council officers subsequently take action against the seller. Everyone’s smoking habits and circumstances are different, as are their means of quitting. What works for one person might not work for another. Smokers can order a ‘Quit Kit’ free of charge through the ‘Want 2 Stop’ website: www.want2stop.info. This has proved extremely effective as an additional tool to help the three quarters of smokers who want to quit on their own. Click here for the PHA's position statement on E-cigarettes.